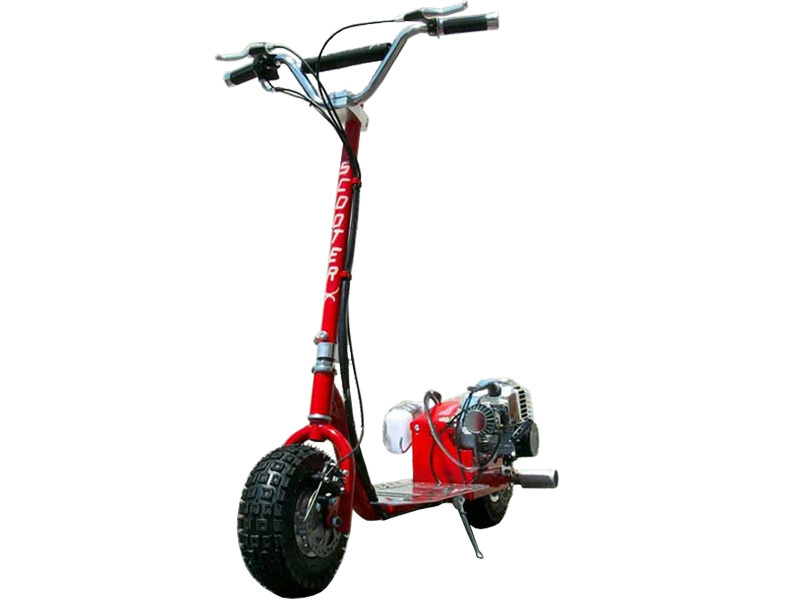 The new ScooterX Dirt Dog gas powered scooter now comes with an EPA approved 49cc engine. This speed demon comes with bicycle style handle bars and street tires. This model no longer comes with a seat or performance air filter. This item normally ships same or next day from purchase.